On Saturday, November 18, 2017 the Church formally recognized our Capuchin brother, Fr. Solanus Casey, as a Blessed and so on his way to being canonized. Solanus had ministered to the People of God in New York State, among other places, in the last century and was well-known for his compassionate approach to all people and his ministry of healing. 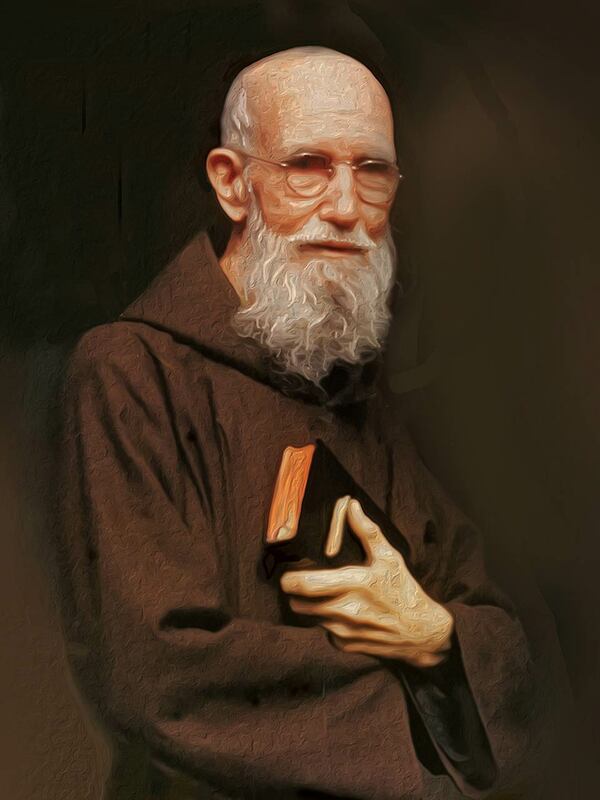 Solanus Casey was born on November 25, 1870 in Oak Grove, Wisconsin to a large family of Irish immigrants. After working in many jobs, including as a streetcar operator and a prison guard, he decided to enter the seminary and was ordained a priest in 1904. Because of difficulties with his academic training, he was ordained as a “simplex priest” and so was not allowed to hear confessions or to preach. He was often assigned as the porter of the friary, answering the door and assisting the people who came there looking for assistance of many kinds. He soon became well-known for his patient and compassionate way of dealing with people and his holiness became apparent to all who met him. Many healings were attributed to his intercession during his lifetime. Blessed Solanus died on July 31, 1957 and over 20,000 people went by his coffin before his burial in Detroit. The Church celebrates our Capuchin brother liturgically on November 3. O God, I adore You. I give myself to You. and May Your will be done in my life today. I thank You for the gifts You gave Father Solanus.